The past three decades have witnessed a series of spectacular developments in the field of superconductivity, driven by advances in the synthesis of new and complex materials. 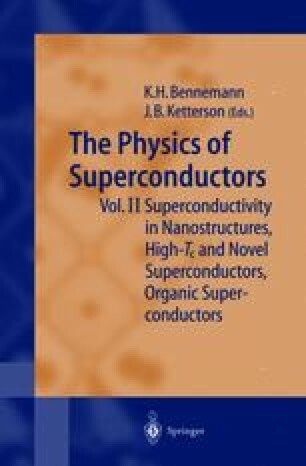 This has spawned several classes of novel superconducting materials, including magnetically ordered superconductors, heavy fermion superconductors, organic superconductors, high T c cuprate superconductors, ruthenate superconductors, as well as several other interesting superconducting materials such as Ba1−x K x BiO3, the fcc “buckeyball” compound Rb3C60, and MgB2. The extraordinary physical properties of these materials are reviewed in this chapter.